More and .more I deal with Christians who have lost their passion and do not desire God as they ought to. Now either I can stand on the shoulders of John Piper on this series and preach what he shared after much preperation and editing, or I can give it to you from the proverbial horse's mouth. Allow God to use this sermon series in your life. This will become a permenat fixture on our website. Too often I hear that Christians complain that Satan stole their joy. But is it not more than often the fact that we give away our joy. 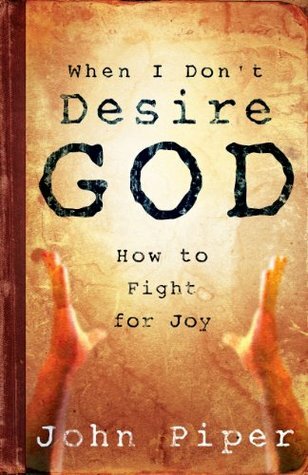 Listen to John Piper as he helps you to fight for that joy.